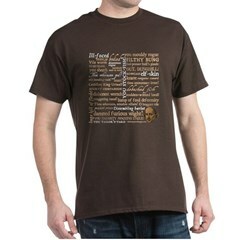 This design is based on a partial quote from Douglas Adams' Hitchhiker series: I am so amazingly cool you could keep a side of meat in me for a month. I am so hip I have difficulty seeing over my pelvis. Does the name Pavlov ring a bell? 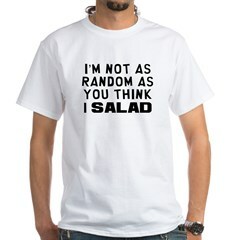 Are you suddenly hungry for no apparent reason? If you're salivating, don't panic, it's pretty normal. 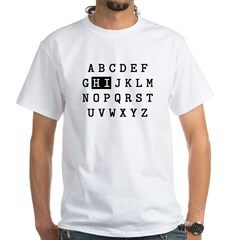 Just keep a napkin handy when you wear this hilarious text design. Down with negative thinking! 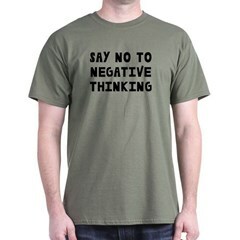 Keep it positive and say no to negative thinking. 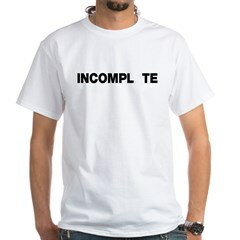 This funny text design is great for motivating your negative-thinking friends. Good for a laugh no matter if your glass is half empty or completely empty. 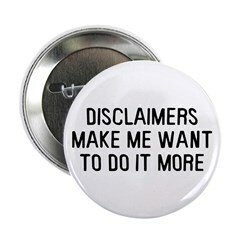 Your grandma used to say "a picture is worth a thousand words," but that doesn't make any sense, does it? 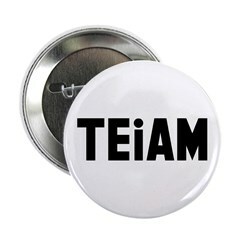 This funny text design puts the old fashioned phrase in modern form. 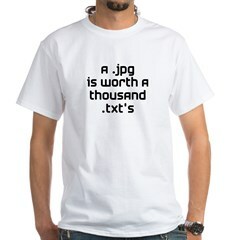 A .jpg is worth a thousand .txt's, although they are more expensive to send. 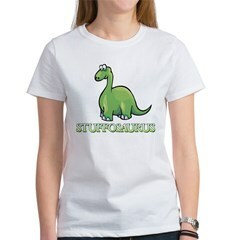 Stuffosaurus logo t-shirts and Stuffosaurus gift ideas. 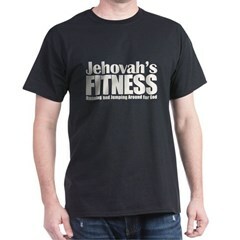 Funny dinosaur t-shirts & gifts. 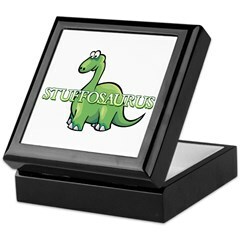 Just what is a Stuffosaurus, anyway? If you've studied dinosaurs and you've never heard of this one, that's okay. We made it up.